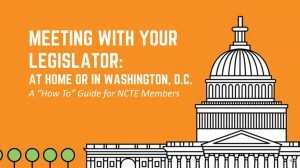 Each year NCTE hosts an event on Capitol Hill for members to push for policy changes that support our profession and to share the wisdom of our experiences with legislators who need to understand the impact of their decisions on the communities we serve. 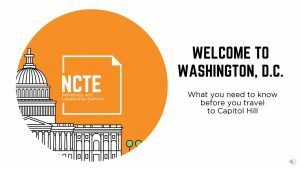 Attendees will be fully engaged through the duration of the event, whether they are in briefing sessions led by national leaders, hearing from speakers including author Laura Wides-Muñoz and NPR reporter Elissa Nadworny, or in scheduled visits with legislative offices. If you’ve never taken part in Hill visits before, you will find that we have built in ample scaffolding and support to ensure your preparation and success. 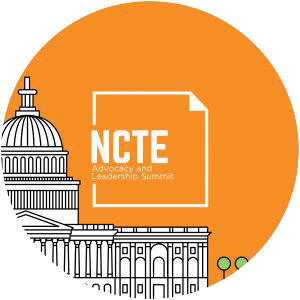 NOTE: NCTE cannot guarantee scheduled hill visits for anyone who registers after March 15. We are particularly excited to be joined by two partners for this year’s event. The Folger Shakespeare Library is providing space for dinner and an exploration of their rare books and other items on Monday, April 8. 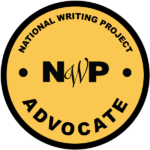 National Writing Project members participating in the Advocacy and Leadership Summit are eligible for NWP’s Advocacy Badge. NCTE acknowledges the support of Forrest T. Jones & Company, who are underwriting a portion of this event. What will the Advocacy and Leadership Summit be like? Participants are responsible for securing their own lodging and transportation to and from the summit. Laura Wides-Muñoz is the author of The Making of a Dream: How a Group of Young Undocumented Immigrants Helped Change What It Means to Be American, her first book. It is based on nearly two decades of reporting on immigration, politics, and policy, much of it done while she was a staff writer for The Associated Press. Previously, Wides-Muñoz also served as Vice President for Special Projects and Editorial Strategy at Univision’s English-language Fusion Network in Miami and as a senior story editor for the network’s award-winning TV and digital investigative teams. Wides-Muñoz broke into journalism covering the end of the Guatemalan civil war and has reported from Cuba and throughout Central America. 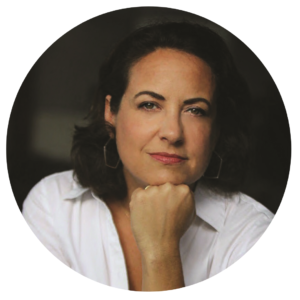 Her writing has been published inThe Washington Post,TheMiami Herald, The Guardian,The Providence Journal Bulletin, and The Los Angeles Times, among other outlets. Elissa Nadworny is a reporter and editor for NPR. She covers education—from the research about preschool to why teenagers should learn about their own brains. She’s spent the last six months telling stories about who goes to college today and how schools can be more student-ready. In 2017, she won a Murrow Award for excellence in innovation. In addition to education, Nadworny has covered the Obama White House, Syrian refugees in Jordan, the aftermath of Hurricane Maria, and investigated the story behind her high school’s skeleton. After the 2016 election, she traveled with Melissa Block across the U.S., telling stories about how people’s identity is shaped by where they live. Their reporting won a 2018 James Beard Award. 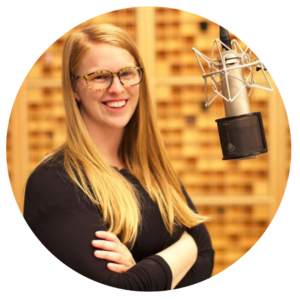 A native of Erie, Pennsylvania, Nadworny has a bachelor’s degree in documentary film from Skidmore College and a master’s degree in journalism from Northwestern University’s Medill School of Journalism. 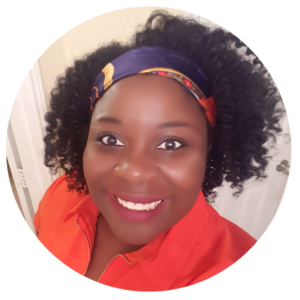 Vikki Orepitan is a 9th grade Pre-AP English teacher at Cinco Ranch High School in Katy, TX. This year she was awarded the Mercedes Bonner Leadership Award by TCTELA (Texas Chapter of NCTE) as well as the NCTE Intellectual Freedom Award for publicly opposing her district’s ban of Angie Thomas’s novel, The Hate U Give. She has taught multiple levels of English as well as Ethics (Civics) to students in Abu Dhabi and in Texas in grades ranging from 7 to 12. Inspired by her childhood teachers, her college instructors, and her mentors, she wishes to empower educators (and students) to challenge injustice and model leadership in their communities. 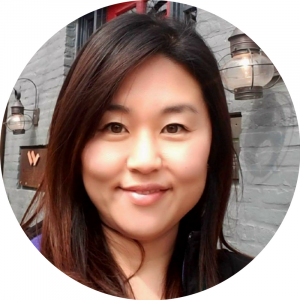 Grace Eunhye Lee is a current NCTE Kent D. Williamson Policy Fellow, a teacher at Hinckley Big-Rock Middle School in Big Rock, Illinois, and a doctoral student at the University of Illinois. Her research involves education policy related to diversity and equity in the K-12 school setting. Take a peek at what last year’s event entailed. We look forward to more great experiences this year!